We have over 50 sellers joining us across the two days, I’d like to introduce our first set of sellers who will all be joining us on both the Friday and Saturday. Click on the sellers picture to find out more about their business and what they will be selling at the event. What are you bringing to Etsy Made Local 2017? : Lots of porcelain items such as tealight holder, hanging mobiles, vases, hanging decorations, mini planters, small cups, bowls. 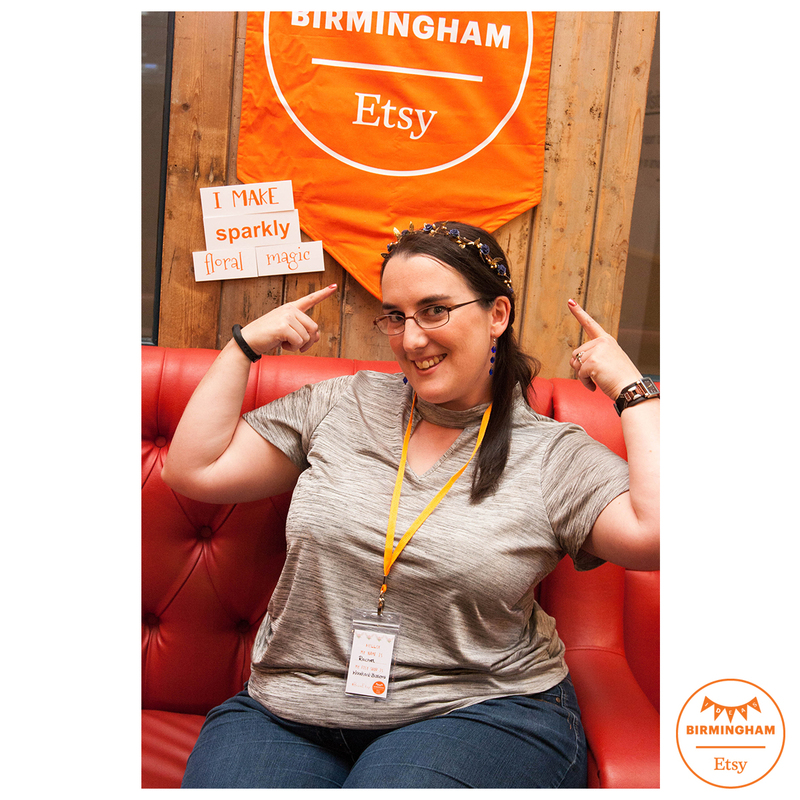 What are you bringing to Etsy Made Local 2017? : Flower Crowns, Glitter Crowns & Headbands, Glitter Bows, Floral clips and Pins, and Floral Christmas Decorations. What is your favourite of your products? : My OOAK floral headbands that i make seasonally – currently it’s my poinsettia headband with preserved cedar leaves. Which is your favourite of your products? 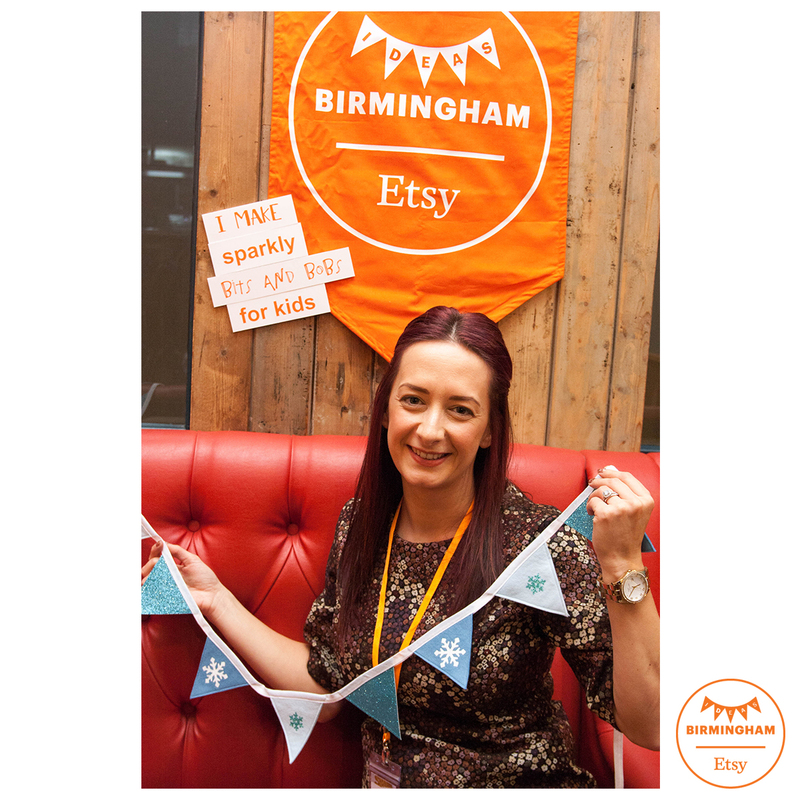 : I’m super excited about my new felt bunting range – the ones with added glitter will probably be decorating my house this Christmas! 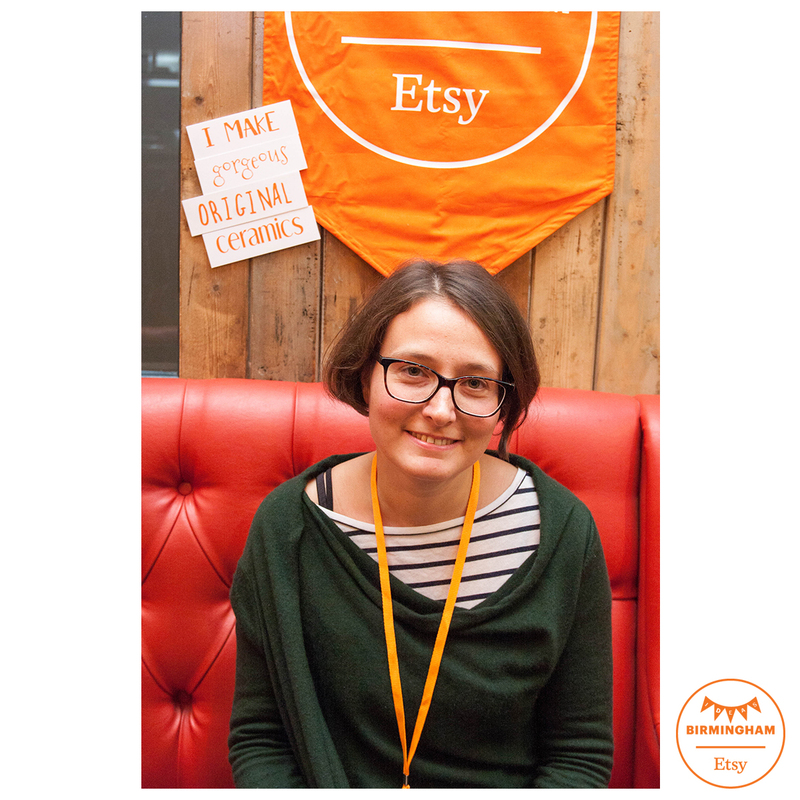 What are you bringing to Etsy Made Local 2017? : All sorts of scrummy goodies for kiddies that include cute greeting cards, prints & notebooks to zipper & pencil cases & the very new gorgeous hand bags & mini duffle bags all featuring my illustrations. There are likely to be some other surprises too if my old sewing machine can cope … it’s just being serviced thank goodness! What is your favourite of your products? : It has to be the little hand bags & mini duffle bags for little ones featuring toddlers in fancy dress & furry animals – (although grown ups may be tempted to use them as lunch/flask carriers). They are hot off the sewing machine so the duffle bags have yet to be photographed! What will you be asking Santa for this year? : that he spreads a lot of love on his travels around the world. And when he’s done he’s welcome to stop off at mine for some hot chocolate and mince pies & there will be carrots for his four legged friends. What are you bringing to Etsy Made Local 2017? : My range of designs made exclusively by myself. The designs will be applied to two products scarfs and cushions. Some items will be sold on the day while others will require orders and delivered before Christmas. I have also created a few Christmas inspired items such as tartan cushions and bunting. What is your favourite of your products? 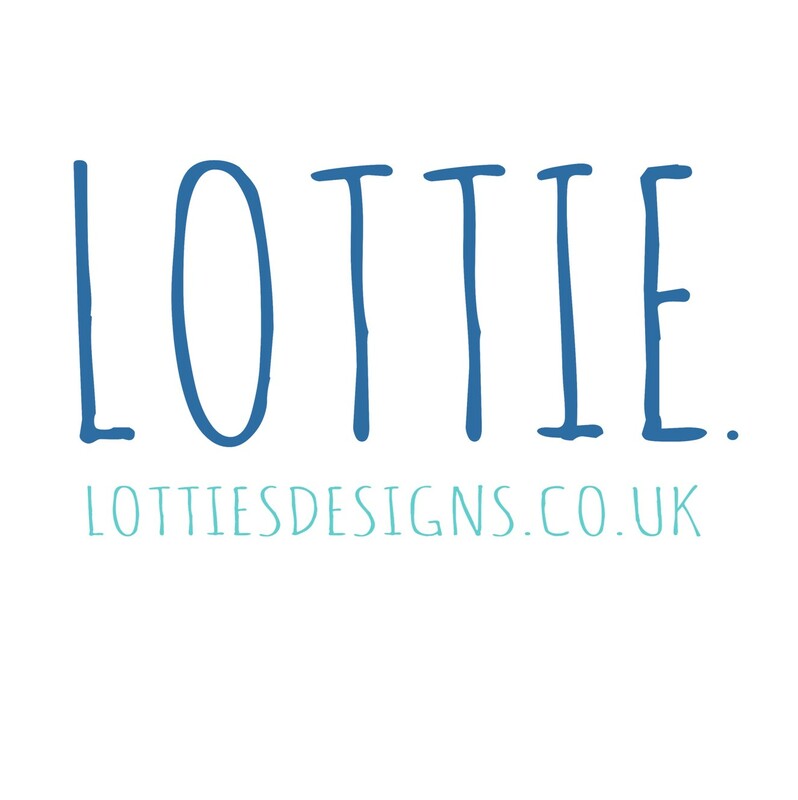 : My favourite product is my recently new designs that I have drawn myself and my foil transfer pillows as it ads a little sparkle and glitter to my work. 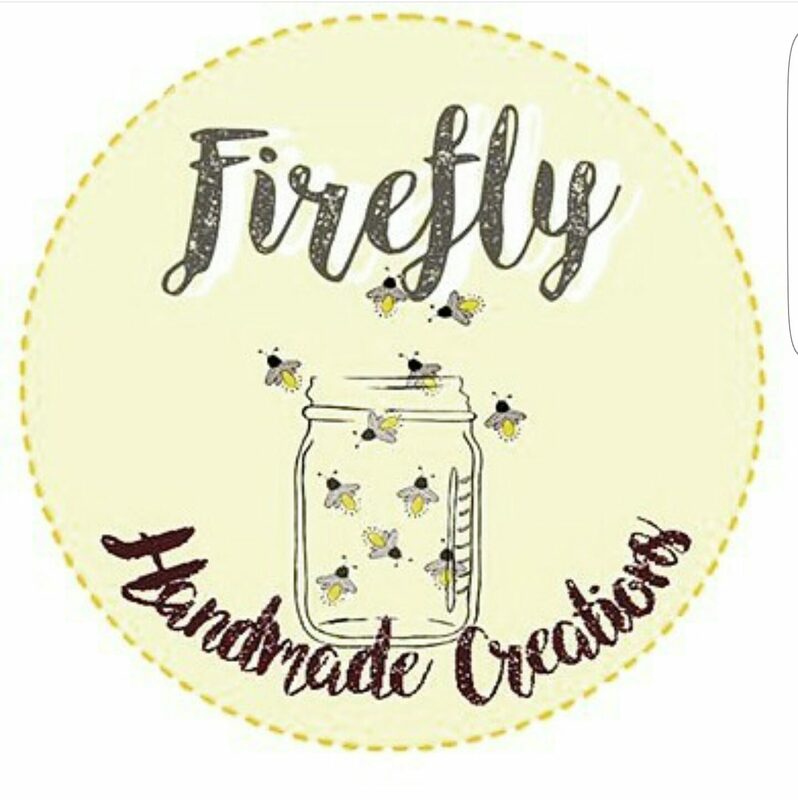 Etsy shop name: Firefly Handmade Creations. What are you bringing to Etsy Made Local 2017? :100% Handmade soy wax candles and melts ! What is your favourite of your products? :My favourite piece are by far my Christmas collection of soy wax melts Including gingerbread , Christmas tree and Christmas rumball ! What will you be asking Santa for this year? :What will you be asking Santa for this year? : This year I will be asking for more luck in my own business ventures! What are you bringing to Etsy Made Local 2017? : Fascinators, headbands, birdcage veils, combs & clips. What is your favourite of your products? : I love anything in turquoise!! I love to see my customers wearing any of my products when it makes them feel fabulous – that’s why I do what I do. What will you be asking Santa for this year? : For the gift of time!! There are never enough hours in the day! What is your favourite of your products? : Definitely my tealights, especially the Green Man ones! What will you be asking Santa for this year? : Snow, but I bet I won’t get it! 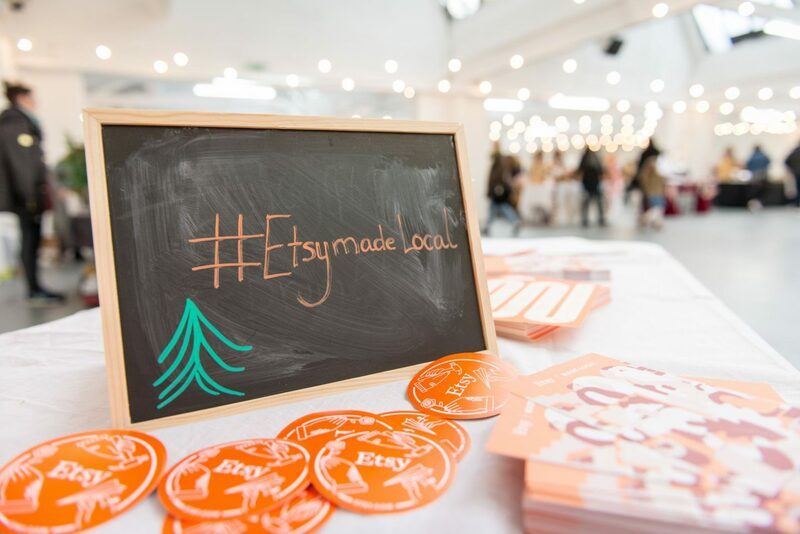 What will you be bringing to Etsy Made Local 2017? : Vintage inspired clothing for women in sizes 6-24, plus accessories and lots of Christmas dresses and hair accessories. What is your favourite of your products? : My favourite products are my Christmas dresses as they are super festive, UK made out of quality 100% cotton fabrics, the patterns I design to fit real bodies and real women and they are a real talking point! What will you be asking Santa for this year? : Tom Hardy under my tree please! 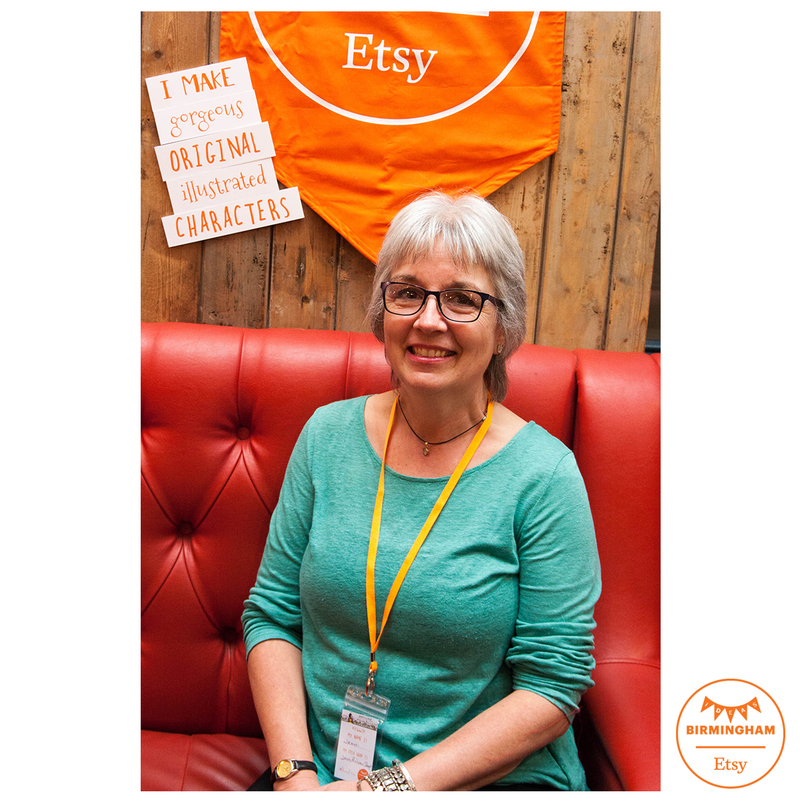 If you missed part one of meet the sellers that can be found here . Or check out all of the shops that will be joining us on Friday here and on Saturday here.